The Mink Pink dress has a frill/ruffle on the bottom plus uhm gee dunno how to describe it but the length of the dress on the front is shorter then at the back, like that a lot because you see the shoes and a tiny bit of leg! The biggest pro; clumsy as I am this is one of those rare dresses that I won’t step on the front of the dress making myself trip and worse (since its a strapless dress) doing a Tara Reid! i love how you have paired this with these boots. gorgeous look ! hi cocorosa! Where is this. Is this in holland? Looks so beautiful! what a great dress. i love the frillyness paired with the black boots. Love the dress worn with these boots! great combination! may have to invest in that dress for the reasons you mentioned, haha! 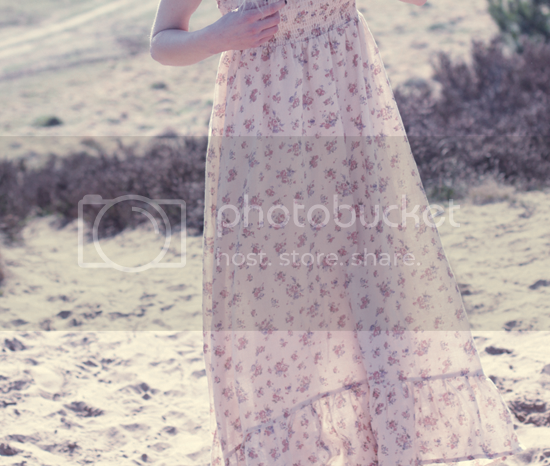 Amazing spring in the air…great shots…great dress! I love the dress with these boots!! Great photos!! this dress is very pretty ! You look lovely!!! Love this dress! gorgerous dress! i love the mix you’ve made – floral dress paired with boots looks awesome! 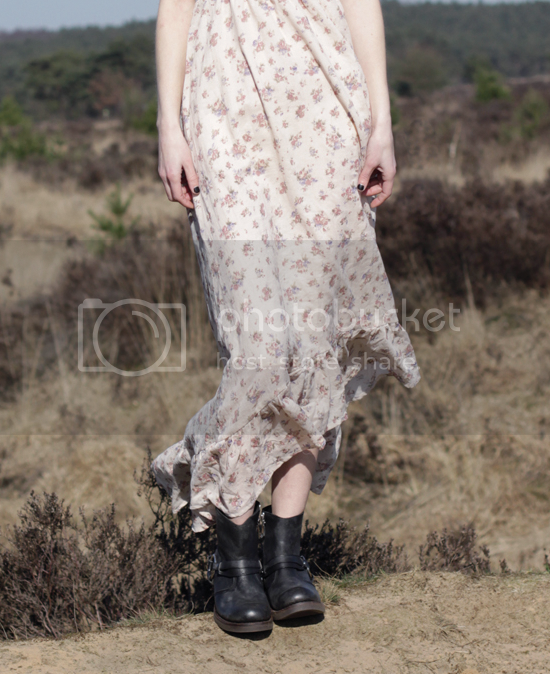 love the contrast between the romantic floral dress and the strong cool boots! Like the way you combined that feminine dress with the rock chic boots, great outfit! This post is just to wonderful! Lovely dress and awesome biker boots <3 You look great! you look beautiful, great boots! love your dress and boots. You simply lovely goddess, this most beautiful dress!!! What a perfect maxi dress! By the way, i love your cat, so cute! Great dress..It looks so pretty on you! Like your combination romantic maxi dresses with boots. 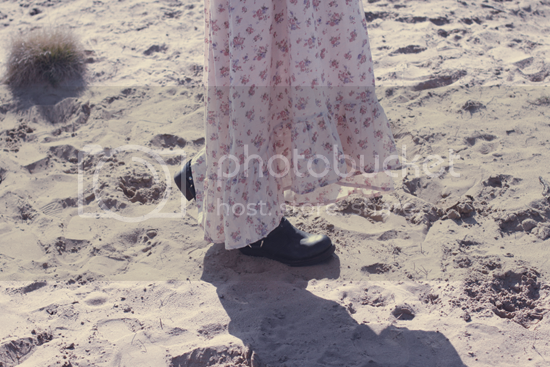 I love the flirty maxi dress paired with the rugged boots, you look great!